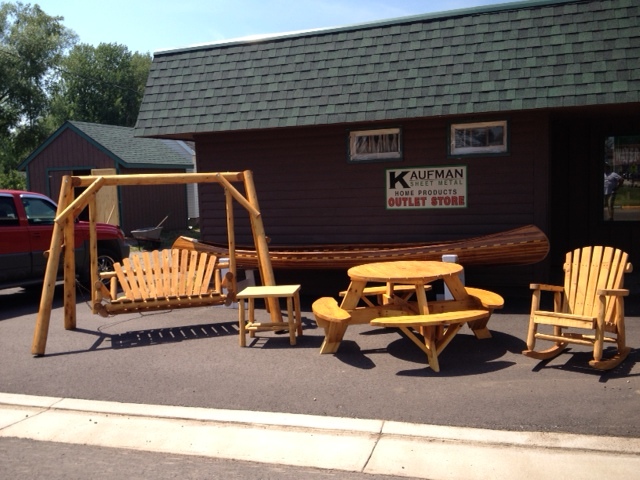 Outdoor Wooden and log furniture. Swings, tables, chairs. 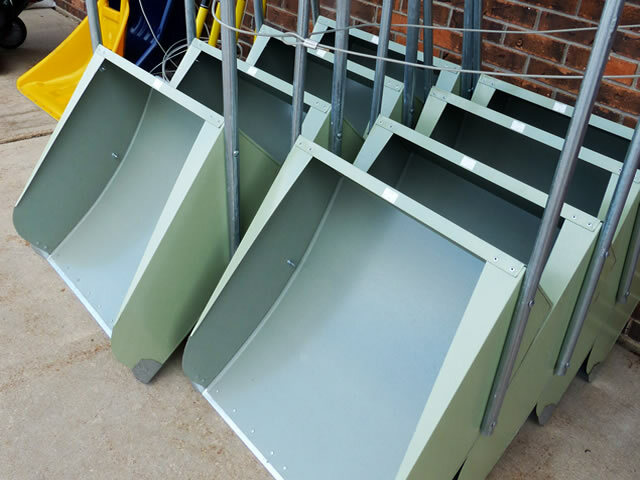 The Kaufman Snow Scoop is the best snow shovel you will ever buy. 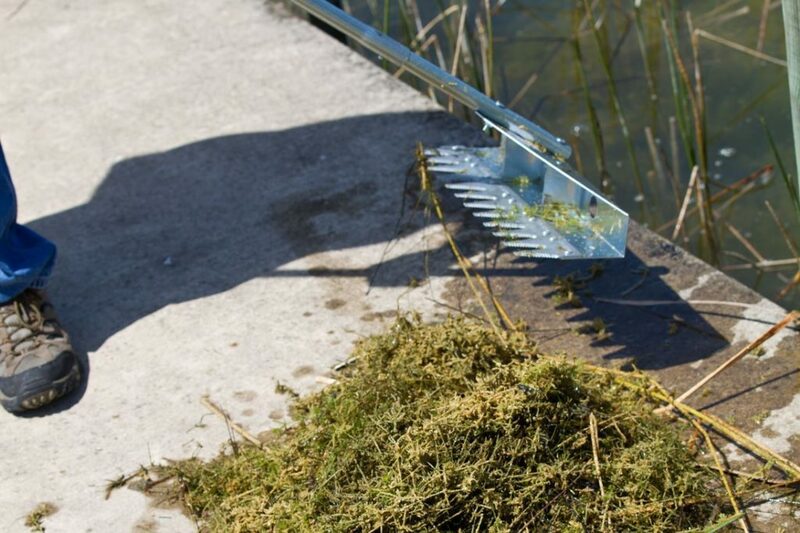 Removes debris and aquatic weeds from around boat docks, boat lifts, shorelines, ponds, beaches and anywhere aquatic weeds have taken over at your home, cabin, or lake house. 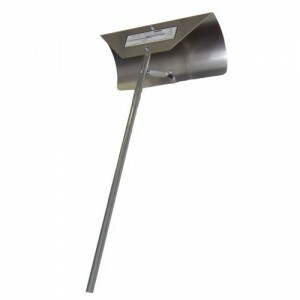 Kaufman Sheet Metal is the Inventor of the Original Snow Scoop (Best Snow Shovel). Often imitated but never duplicated. 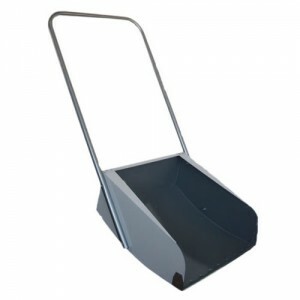 Move snow the easy way without braking your BACK. 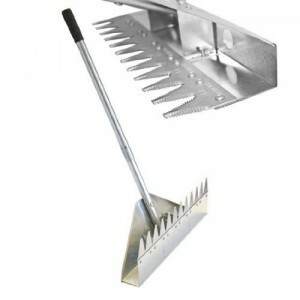 Our Snow Roof Rakes are curved to slide effortlessly over the snow up the roof and cut into the snow with reverse travel for safe and easy snow removal without climbing on your roof. © 2017 Kaufman Home Furnishings. All Rights Reserved.